place on the banks of the Ganges every year, and every 12 years the Kumbh Mela—when hundreds of thousands if not millions of pilgrims descend on the city, including thousands of holy men and women. The legacy of the British and the Mughal rulers can be seen around the city, with the architecture a curious mixture of Gothic and Mughal. Make sure to visit the Allahabad Fort, home to the “immortal tree,” as well as the Allahabad Museum. All Saints Cathedral is considered one of the finest in the whole of India. Anyway, i don't know if any of us could rectify it, but please do suggest a way to change it or it would be so nice, if anyone could do it. Kanpur is also wrongly added to Kerela. Both Allahabad and Kanpur are Districts of most populated Northern State, Uttar Pradesh. To cut it short, our History, 9 out of 14 Prime Minister of India belongs to Uttar Pradesh (State) and 7 of them are either born in Allahabad or had received there education at some level or the other at Allahabad. Now the most important part for which we all are here, it is one of the most developed city in Uttar Pradesh. All modern facilities and amenities are easily accessible. Shopping culture is on boom, Many restaurant are available but mainly serves North Indian Food, for continental 'El Chico' would be a recommendation, no better standalone restaurant serving continental i know till date. 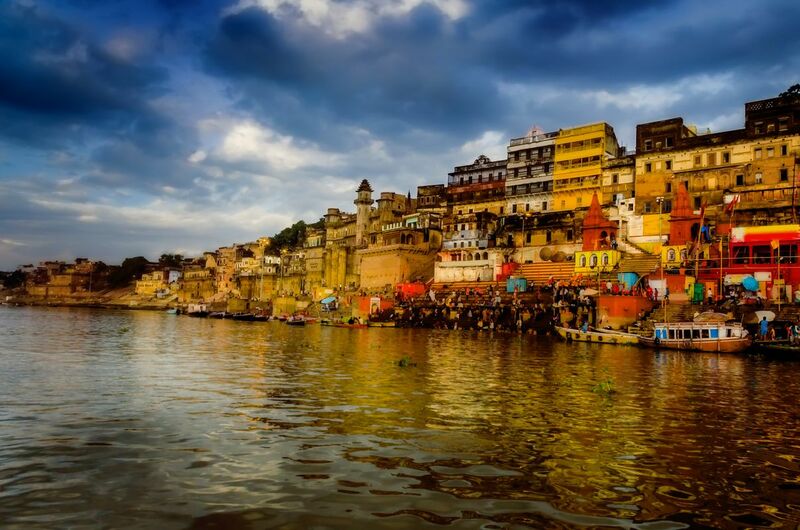 Mainly known for it's Sangam- a confluence of three river i.e. Ganga, Yamuna and Saraswati, though river saraswati couldn't be seen and don't know of anyone who had seen it either. so it's mainly Ganga & Yamuna.The point of convergence is a sacred place for Hindus. A bath here is said to wash away all the sins and free the individual from the cycle of rebirth. Kumbh Mela (Every 12 year), Aardh Kumbh (Every 6 year), Magh Mela (Every year) are the major occasion when this sacred baths are performed in the month January-February (oOH! its Winter:P), well people come in millions, Allahabad becomes the most populated city in the world during the Kumbh Mela period.